Christ is risen! Christ is risen, indeed! Alleluia! Happy Easter! 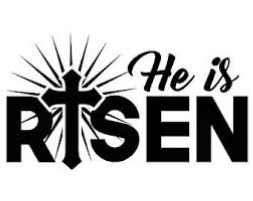 Before you tell me I’m a couple weeks late and that Easter was almost two weeks ago on April 16, I want to remind you that on the Christian calendar Easter is a season that lasts fifty days. But even that is a bit misleading. Every Sunday is considered a “little Easter.” I will go even farther to suggest that the resurrection of Jesus is only the beginning, that every day we can see the resurrection power of Jesus in the people and situations around us. My prayer is that you will receive the ongoing blessing of resurrection today and every day. The risen Christ is with us! Thanks be to God!